Here you will find some of my various hobby projects. 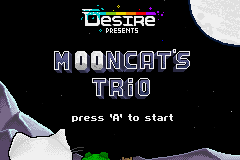 Mooncat's Trio is a Breakout-style game for the Gameboy Advance. 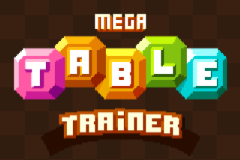 Mega Table Trainer is a cross platform math puzzle game, designed to train you in the multiplaication tables. Apart from the commercial games i have worked on, i could seriously write an entire book about all the small games and prototypes i have made throughout the years. 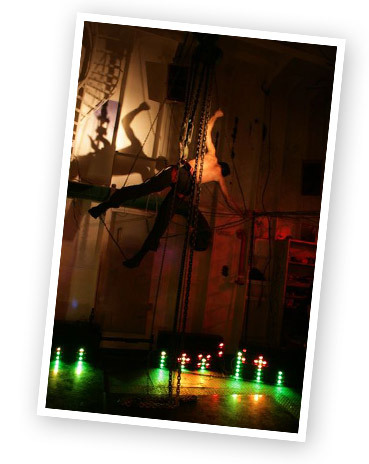 None of them big finished productions, but as some of you might know, it’s not always easy to be a full-time programmer during the day, and work on your hobby projects during the night. I focus a lot on gameplay and the experience and feeling a game gives you, so i love experimenting with this, and iterating on something until it just feels right. I love to mess around with really low-level stuff, and make my own small retro gaming inspired hardware. 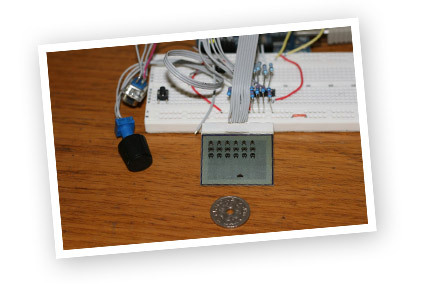 I have used the AVR microprocessors for a lot of my projects, mainly because of the tools available (avr-gcc etc. ), but also because i really like their architecture compared to PIC. Right: A living LED flowerbed i hacked together from an old soccer stadium display, for a dance performance on an old thug boat in the Copenhagen Harbour. As the evening progressed the flowers slowly grew up, bloomed, died and spawned new flowers. Below: An early prototype of my handheld micro-console running a Space Invaders clone i coded for it.